Packaged bank account claims are complicated. Understand the basics, save legal fees & find the best PBA claims lawyer if you really need one. Our complete guide to mis-sold packaged bank account (PBA) claims in the UK looks at everything you need to know to reclaim fees and make a successful claim against your bank for compensation. If you have paid a monthly fee for your bank account, you might have a claim for hundreds or even thousands of pounds if this account was mis-sold. Package accounts can be greatly beneficial, but they can also be entirely useless to the account holder and there is growing evidence to suggest that these accounts have widely been mis-sold without any assessment of their suitability for the person buying it. What will this UK PBA Claims guide cover? Do I have a Packaged Bank Account? Are all packaged bank accounts bad? Why do banks offer package accounts? Why are Packaged Bank Accounts mis-sold? Have I been mis-sold a package account? How much can I claim if I was mis-sold? Can you stay with your bank if making a PBA claim? Can I claim if I signed up online? What is a Packaged Bank account? Do I have a Packaged Bank Account? Access to preferential terms for other financial services. This could be overdrafts, personal loans or mortgages. Sometimes non-financial products and services are included, such as early access to event tickets. For these additional services, the customer will pay a monthly fee. The account will not usually be called a package bank account but may be labeled as a “premium account” or an “added value account”. Quite simply, if you have any of the services listed above or any other services offered by your bank (whether Natwest, Barclays, Lloyds, TSB, Clydesdale Bank, Yorkshire Bank, National Australia Group, RBS, Santander or otherwise) for which you pay a monthly fee, you have a package bank account. Furthermore, if you have any of these services with your bank account, you may not be aware that you pay a monthly fee for these services. You should check with your bank or look on your bank statement – if you are unaware you were paying for these services it is highly likely your package bank account was mis-sold. No, not all package bank accounts are bad. In fact, package bank accounts can be a great way of saving money on certain services and can be a convenient way of organizing such things. However, they can also be a complete waste of money, depending on circumstance. Where the benefits of a package bank account have been properly explained and you have chosen one based on your needs, it is probably a good account as a package account can be the cheapest way of securing some kinds of insurance. On the other hand, you may have been sold your account by a sales agent that was put under pressure to meet sales targets. They may not have outlined the benefits to you properly or correctly assessed whether you are eligible for the account. Banks have been found to have systemically mis-sold package bank accounts and I this has happened to you, you could be owed thousands. Customers do not usually seek out a package bank account – these accounts are sold by agents rather than bought. Customers who get a package bank account are more likely to be upgraded by their bank, or offered a packaged bank account rather than a free account when opening a new current account as opposed to asking for a package. Almost all major banks offer package bank accounts and can be an important products for banks to differentiate themselves from other banks on the market allowing them to retain their customers and attract new ones. Package bank accounts are intended to be useful for the customer and are designed as such, however pressure on sales people and also the bundling of insurance products has caused unfairness for customers. Customers may be confused by a quick explanation of complex insurance products and left unsure whether the account is right for them. Why are packaged bank accounts being mis sold? When banks and their agents are offering package bank accounts, it is important that customers are made aware of how suitable they are for the product, and if there are more appropriate options for them. If this is not being carried out, then the package bank accounts are being mis-sold. Although the types of insurance policies provided as part of a package bank account is considered a low risk product, because a number of these insurance products are being sold as a bundle with a current account, there is a risk that the banks sales agents will not give due attention to the insurance policies in the sales process. The result is that customers are not receiving the information they need to make a full consideration of the product they are buying, taking time to shop around with other providers or considering whether a non-packaged bank account is a better option. There is a risk that customers will purchase insurance policies for which they are ineligible under this system. Customers may be ineligible when they purchase the account or they may become ineligible, for example because of a condition relating to age that was not made apparent to them by the sales agent. In addition, it may be that the insurance sold is simply unsuitable for the needs of the customer but the sales agent had not pointed this out to them or pressured the customer into taking the account. Have I been mis-sold a package bank account? If you were sold a range of insurance products or other services with your bank account, the bank should have checked the insurance and services were suitable for your needs. The important factor is what you were told, or what the agent failed to tell you at the point you were sold the package bank account or upgrade to your accounts. Listed below are the mis-selling categories. Where your circumstances fall into one or more of thes categories, it is likely that you could have a claim. Often customers were told they required the account to be able to get a loan, mortgage, overdraft or other financial product – including that their application for such things would be declined if they did not have a package bank account. This is mis-selling. One of the biggest problems with package bank accounts is that people are ineligible for the insurance products they are buying. Often travel insurance policies will have upper age limits or other restrictions. • You were not told about important exclusions such as an age limit. • You were not asked if you had any issues that may prevent you from claiming. For example, a medical condition that may invalidate travel cover. • The bank should check that you are eligible for insurance each year, if not you may have a claim. • If you were led to believe it was a privilege to get the package account but the bank failed to explain the product to you. • A sales person using hard-sell tactics forced the account on you. • You were told you'd be eligible to claim when you weren't. • You were told you would get discounts on other insurance if you took a packaged account but this was not the case. You need to be told of a price increase on your package account, or that the package is being added to your account. Some people are not even aware they are paying for their package bank account or how much they are paying. This could be evidence of mis-selling. If you were told you had to keep the account when you made an attempt cancel it, it's likely you've got a case for package bank account mis-selling. It may be that the sales person ‘strongly advised’ that you keep the account, but this could also allow you to reclaim. Where a package bank account includes insurance, you should be made aware that you need to register items linked to it. For example, where you have mobile phone insurance with the account and your phone is subsequently stolen, you will need to have registered that phone to be covered. If you are not made aware of this you may have a claim. How much can I reclaim if I was mis-sold a PBA? If you have been mis-sold your package bank account, you can claim back all of the fees you have paid, plus interest. So say for example you were paying £20 per month for your bank account for three years (20x12x3), this would mean you could claim back £720 plus interest. You will receive 8% interest on your claim. This takes account of the amount of money you may have earned had the money not been taken from you. • Accounts started in the last six years: There should be no issue here with making a claim even if the account is now closed. • Older accounts that are still active, or ended within the last six years: You make a claim. The six-year rule applies to ‘active accounts’. If an account was opened eight years ago but was then closed four years ago, it was still active within the key six-year period. • If your policy ended over six years ago: The issue is that banks do not need to keep records that are over six years old. However, there is no official cut-off time, so if you've still have the paperwork, making a claim may still be possible. Can you stay with your bank after making a PBA claim? Yes, it's still possble to keep your same bank if making a PBA claim against them rather than taking your banking elsewhere. We get asked this question a lot and can advise you more if needed. What if I signed up online? There is no practical difference in making a claim if you signed up to the account online rather than in branch, The same questions will still be asked to investigate your claim. The information available to you at the time of opening the account will be assessed to discover whether you were mis-sold, including the clarity of the information displayed. If after reading this information you think you have a claim, we can put you in touch with claims specialists who can make your claim for you on a no win, no fee basis. You can also make a claim yourself. The first step is to make a formal complaint to your bank making clear the reasons you think you have been treated unfairly. You should gather any evidence and copies of documents to assist you in making your claim. This process can be time consuming and there is no template for making a claim as circumstances will differ and can only be assessed on a case-by-case basis. This is why can be useful to use a package bank account claims specialist – they have dealt with hundreds of cases and can put forward the best case for your claim. To make an official complaint to your bank, you should make your complaint in writing to the complaints department. You should ask that it be recorded as an official complaint and ask for written confirmation of this. Frequently banks will reject such complaints or state that you must take up your complaint with the Financial Ombudsman Service – however this should not put you off and it is not the end of the matter. The Financial Ombudsman Service is the official body for settling disputes between individuals and financial companies. You will present the body with the facts of your case along with an y evidence you have gathered and the ombudsman will decide whether the package bank account was mis-sold. The service will also decide on the most appropriate form of redress if you are successful – in most cases this is a refund. 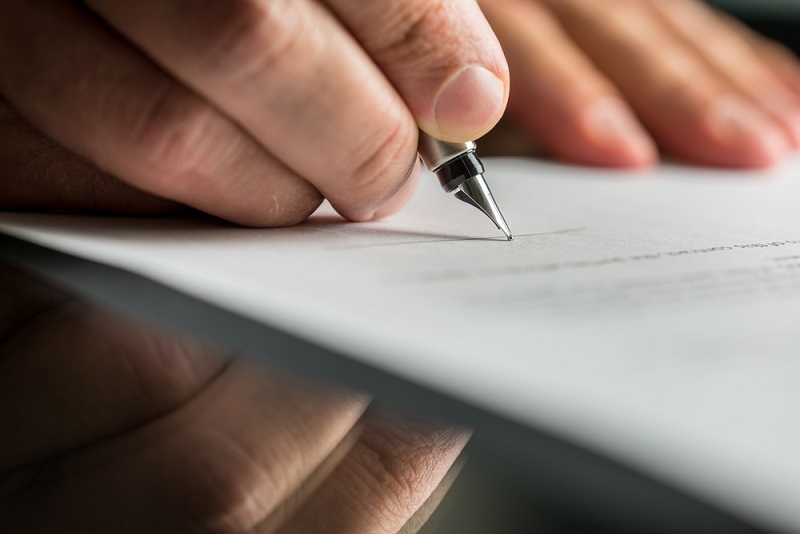 In order to make a complaint to the Ombudsman you need to fill in the Ombudsman complaints form and enclose any relevant paperwork to support your case – the form must be hand signed and posted. The Ombudsman will not consider you case until your bank has been contacted by you or on your and given it eight weeks to respond. The Ombudsman will then send you a confirmation letter to advise that it will look into your case and get back to you if it needs any more information. If you disagree with the Ombudsman adjudicator’s decision, you can ask for a formal decision to be made by one of the official ombudsmen at the service. This will normally take several months because it requires a detailed investigation. If even after this you are still unsuccessful, it is possible to take your bank to court to reclaim your fees. However, here at Unlock the Law we like to make asserting your legal rights as simple as possible. As mentioned above, we can put you in contact with a specialist in making package bank account claims who will pursue your claim on a no win, no fee basis. This means that you can make your claim safe in the knowledge that it is being handled correctly and you are giving yourself the best chance of success with the least amount of fuss.